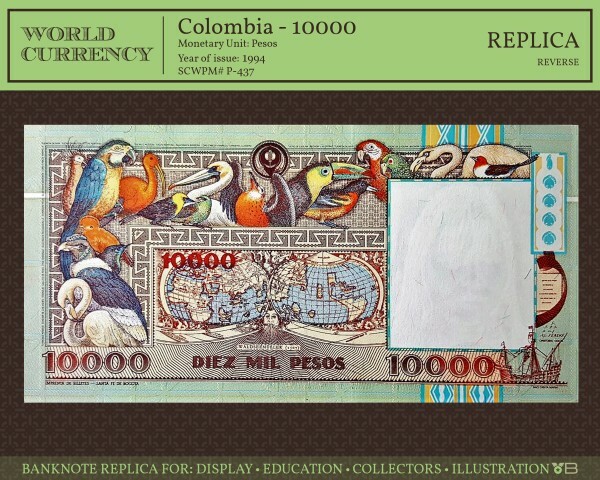 World banknotes can tell so much about any topic, such as culture, geography, history, politics, religion and many other subjects. It can be a conversation starter, a talking piece, or even an ice breaker. People can relate when it comes to money, we all use it one way or another. 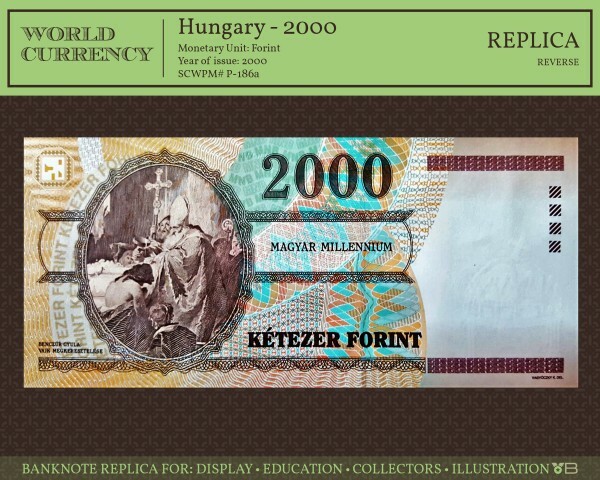 What a better way to show your friends, family, students, or audience a banknote, through a showpiece form. 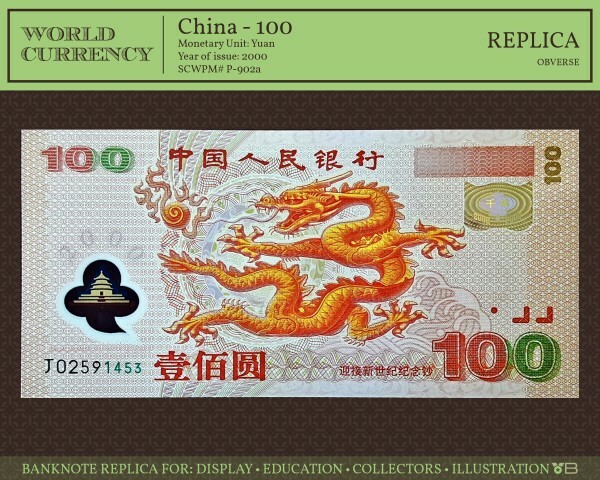 Best of Banknotes, can provide showpieces that present the currency in an elegant and professional way. 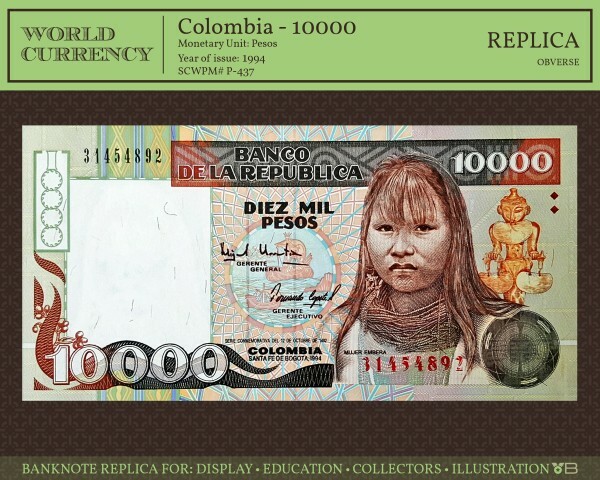 The copy is a replica, of the original and it is an oversize from the actual dimension of the banknote. This can show in neat detail the artwork, and other intricacies that the banknote holds. The image will be printed on a high quality matte photo paper. The dimensions are 8X10 in (eight inches height, by 10 inches width). Take note that each print is single sided, this means that if you want to see both the front and back of the replica, it will be 2 copies. 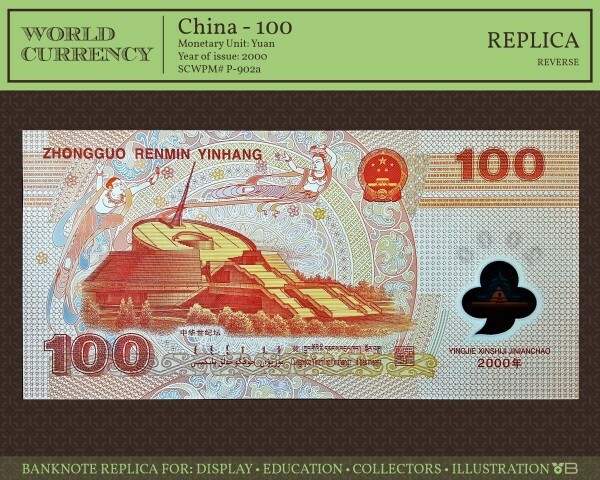 One copy will show the front (Obverse) and another copy will show the back (Reverse) of the banknote replica. 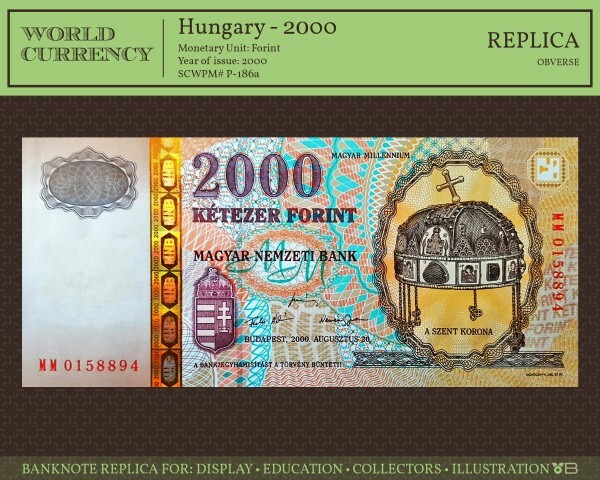 The top area will show the banknote details, such as country, denomination, monetary unit, print year and catalog number. 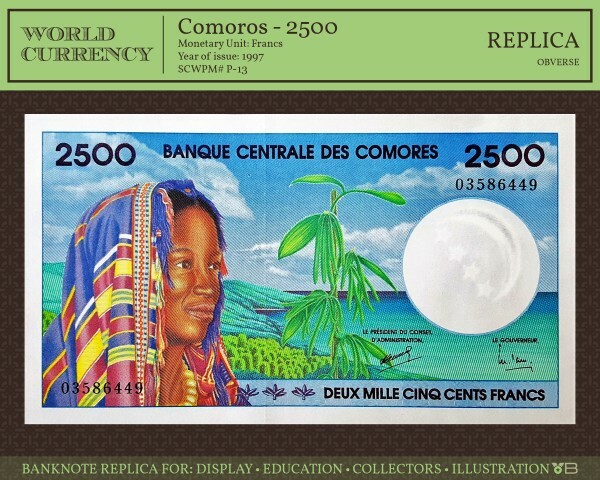 THE BANKNOTE IS ENLARGED TO SHOW DETAIL AND APPRECIATE ITS CONTENT. 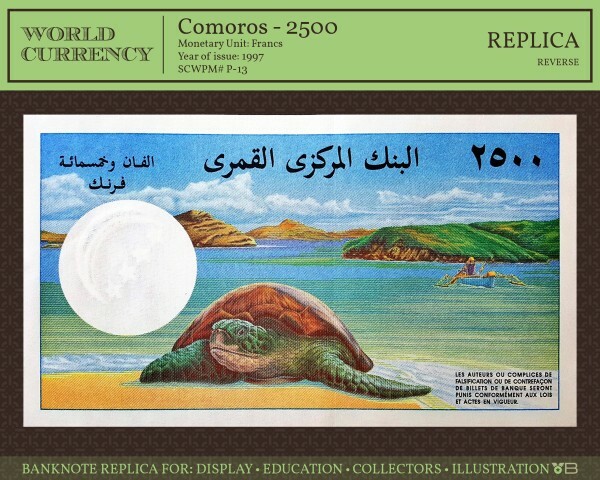 I can only provide replicas from the banknotes that are currently shown in the Banknote Gallery. There are few exceptions for which I will not provide a print for, they are: USA, Euro, UK, and any currency that is presently used in circulation. 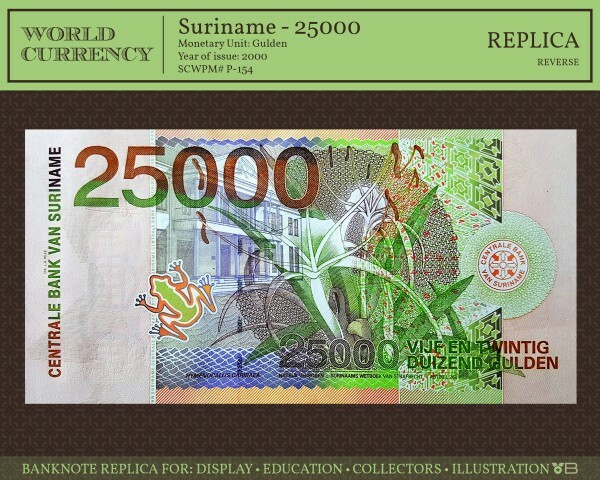 To purchase some pre-made banknote replicas click here. 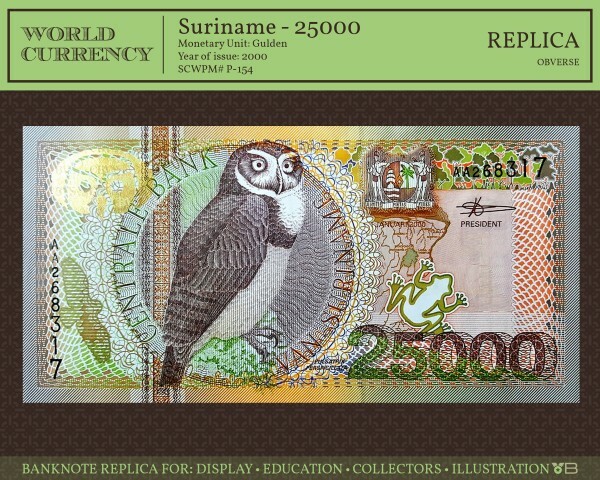 To pre-order a print replica, please fill out the form below to get the banknote information and details. After I receive these details, I will email you the cost and shipment time.